Tempest Anderson travelled across the world, exploring weird and wonderful landscapes, meeting the indigenous peoples of far-away communities and bringing back his amazing photographs to show people back at home in York. Please note: The Yorkshire Museum is home to an extensive and varied collection of items and artefacts. Whilst we make every effort to display a broad spectrum of our collections it is not always possible for all our collections to be on display at once. Please check the latest exhibitions to find out what collections are currently on display or contact us on 01904 687687. 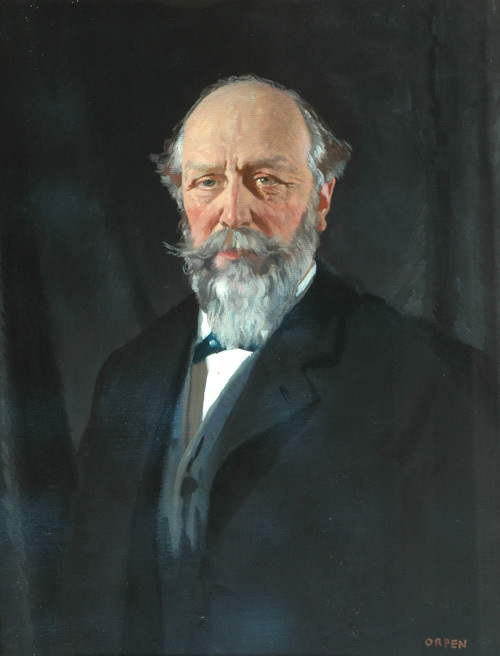 Born here in 1846, he studied medicine at University College, London, and returned to York to work in his father’s practice, specialising in ophthalmic medicine. He also worked in the County Hospital in York. He was a keen mountaineer, starting with an interest in glaciers and later moving on to a lifelong fascination with volcanoes. It is said that he always had two bags packed in his bedroom, one full of clothing for warm climates, one for cold, so he could leave at short notice. 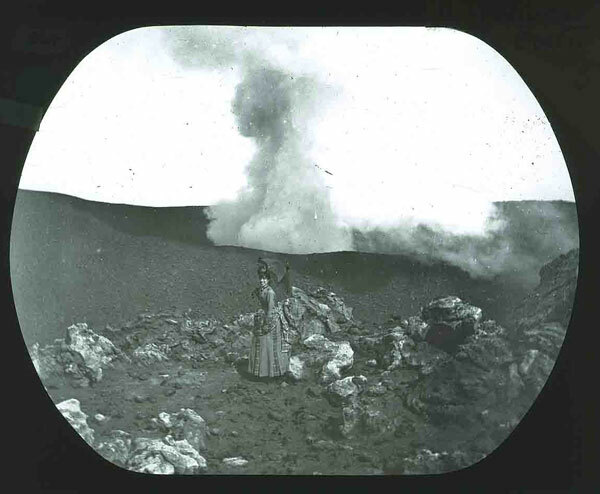 By 1900, he had visited and photographed most of the European volcanoes as well as those of Iceland as well as travelling to the USA. But it was in 1902, that Tempest Anderson made his greatest contribution to science. 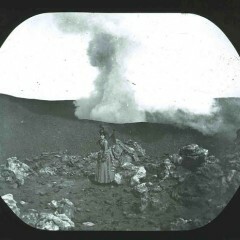 The Royal Society asked him to accompany Dr Flett, of the Geological Survey, to study the recent eruptions of Mont Pelée in Martinique and La Soufrié in St Vincent, both in the West Indies. Whilst there he observed nuee ardente eruptions and was one of the first to compare them to avalanches which he had observed in the Alps. These he described in a major paper published by the Royal Society. 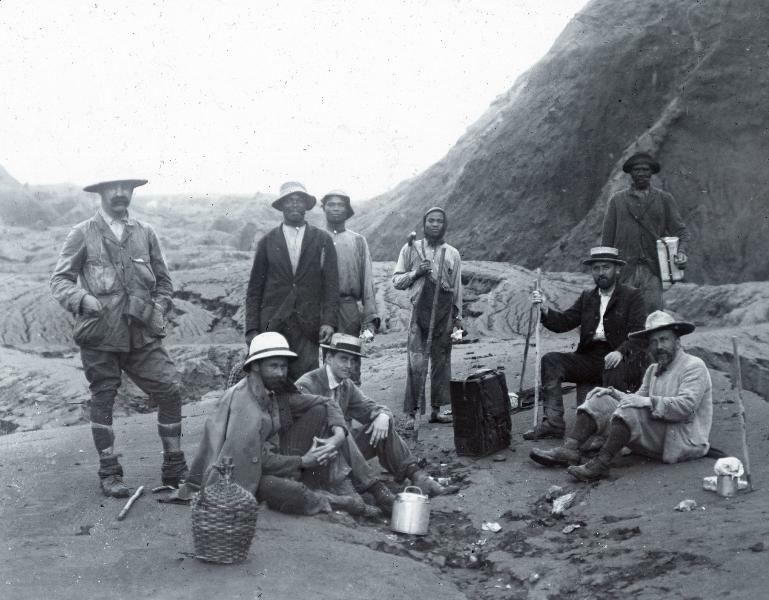 This was an important contribution to ‘volcanology’ – the study of volcanoes. Back at home he gave lots of lectures using ‘magic lantern slides’ an early form of slide viewer. His pictures gave people the chance to see landscapes they had never seen before. 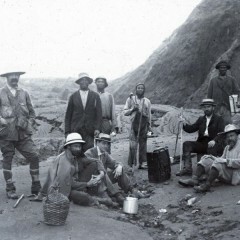 He also took many images of the people who lived in the countries where he stayed. 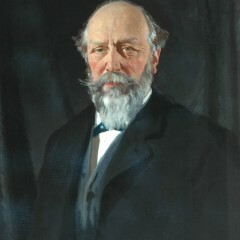 He became a prominent figure in York – a pioneer of town planning; Sheriff of York in 1894 and was the first man in the city to have a telephone. The Tempest Anderson Hall was added to the Yorkshire Museum building in 1912 , in memory his sister, using funds given by him. He died in 1913 on the Red Sea on the way home from his last trip and is buried at Suez. He never married and left half his estate to the Yorkshire Philosophical Society, the founders of the Yorkshire Museum.